1. Cut the craft wire in to two 6 inch pieces. Make two wire scrolls with a pair of needle nose pliers.These will be the hooks to attach the garland to the tree. Once made, set them aside. 2. Leaving your thread on the spool, thread the needle and pull about 12" of excess thread through the hole. 3. Begin by stringing a felt ball onto the thread. Next string approximately 7 inches of seed beads. 4. 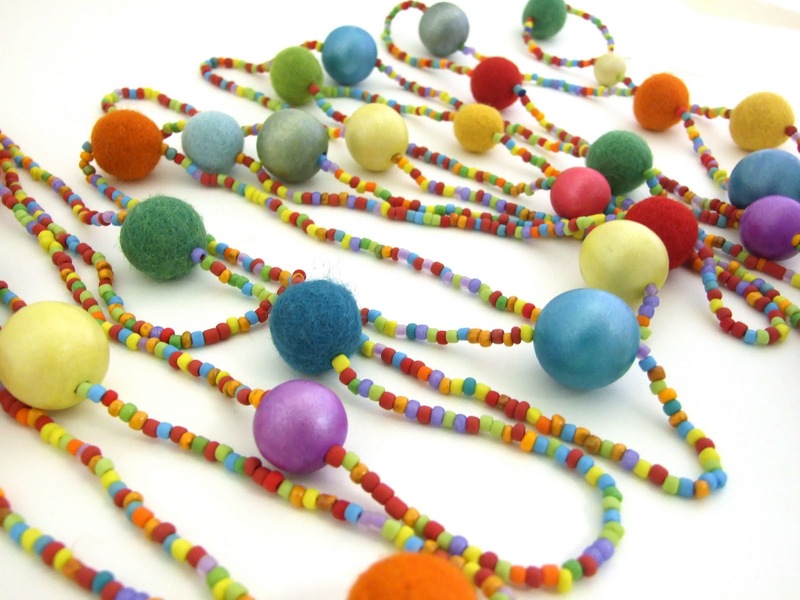 Continue by string a wood bead, follow with another seven inches of seed beads, and then a felt ball. 5. 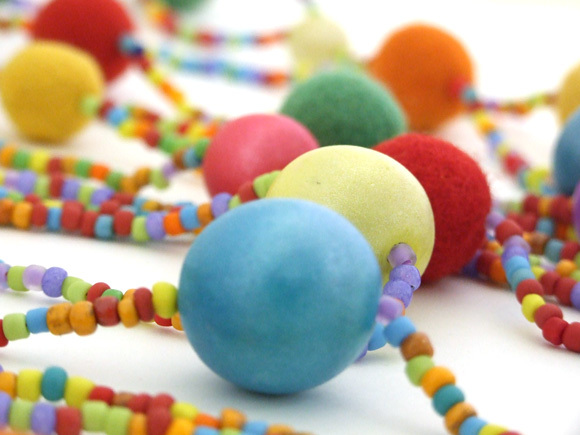 As the thread fills up with beads, unroll a little more thread and slide the beads further down the thread. Follow the previous pattern to string as long of a garland as you would like. 6. Tie the needle end of the thread to the end of a wire scroll. Slide the strung beads up so they are snug against the wire. Tie the remaining end of the garland to the second scroll. Trim any lose threads. So festive and adorable! I think I'd want to wear it after the holidays! Nice craft ideas and a riot of colors which is very nice and festive and joyous to the eyes...almost a treat.